About Organization: Grit and experience affect the growth of an institution. Fighting four major wars, insurgency and other low intensity wars has indeed made the Indian Army an eminently and efficient battle trained, war machine. How to Apply: Apply on plain paper as per the format given in the advertisement. 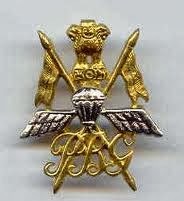 Applications should be posted to the nearest OC, NCC Unit from where NCC ‘C’ certificate has been issued.